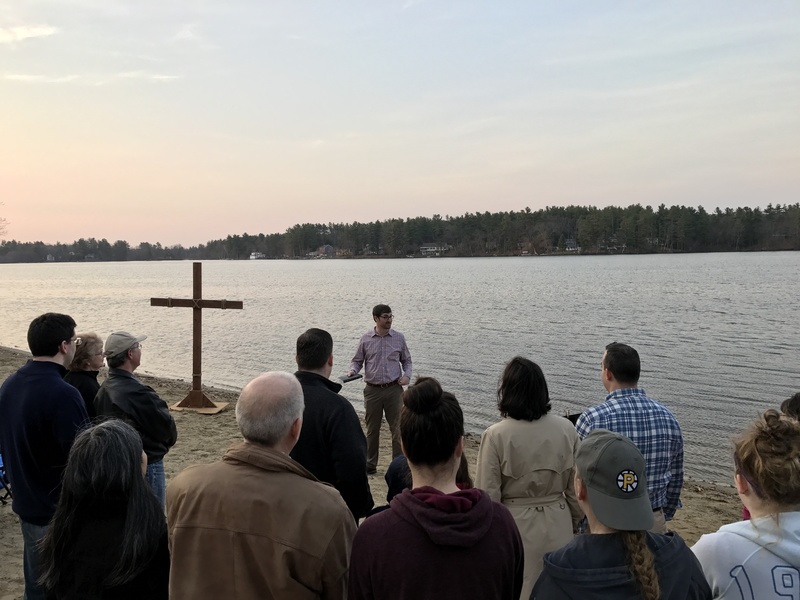 Join us in celebrating the Resurrection of our Savior on Sunday, April 21st at 6:00am at Forge Pond in Westford for our Easter Sunrise Service. Following the service, we will have a light breakfast back at Cornerstone, located at 32 Graniteville Rd, Westford. Please note that there are no bathroom facilities available at Forge Pond. The address for Forge Pond is 1 West Prescott Street. The entrance for it looks like an access road for the train. If you are driving West on 225, turn left before the train tracks and the traffic light. The red arrow points to the entrance. Join us the night before, Saturday April 20th, at 5:00pm to start our Easter Celebrations at Cornerstone!